A major Apple security flaw allows cybercrooks and spies to grab personal information like email, credit card numbers, and other sensitive data. Apple confirmed researchers' findings that the same SSL/TSL security flaw fixed with the latest iOS 7.0.2 update is also present in notebook and desktop machines running OS X. Please apply the patches as advised in this post. The bug has been present for months, according to researchers who tested earlier versions of Apple's software. No one had publicly reported it before, which means that any knowledge of it was tightly held and that there is a chance it hadn't been used. But documents leaked by former U.S. intelligence contractor Edward Snowden showed agents boasting that they could break into any iPhone, and that hadn't been public knowledge either. It's very public now, and that means the race is on between cybercrooks to exploit the flaw and Apple to fix it. You are exposed until the bugs are identified by the vendor, a patch is created, and it's pushed out or you install it. Your vulnerability increases when you use public WiFi Hotspots. It's precisely because we put ourselves at risk by using free WiFi, and we don't know when the next security crisis is coming that we need constant protection. SecureLine VPN is that protection. Once avast! 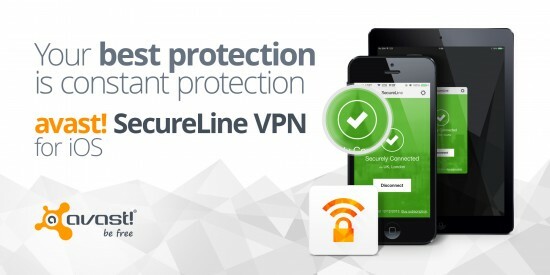 SecureLine VPN is installed onto your iPhone or iPad, it automatically notifies you of the risks of connecting to unsecured WiFi, and you have the option of connecting to the secure VPN. SecureLine creates a private ‘tunnel’ for your data to travel through, and all your activities done over the internet - inbound and outbound - through the tunnel are encrypted. Get it for Android on Google Play, or download a VPN for your computer or laptop directly from the AVAST website.